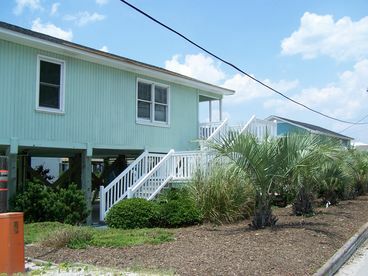 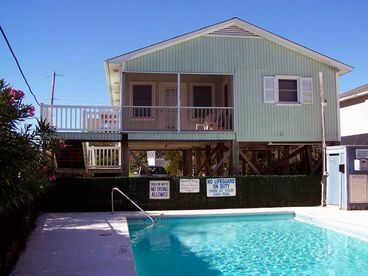 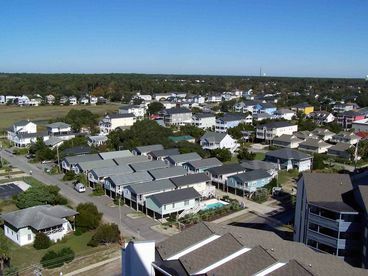 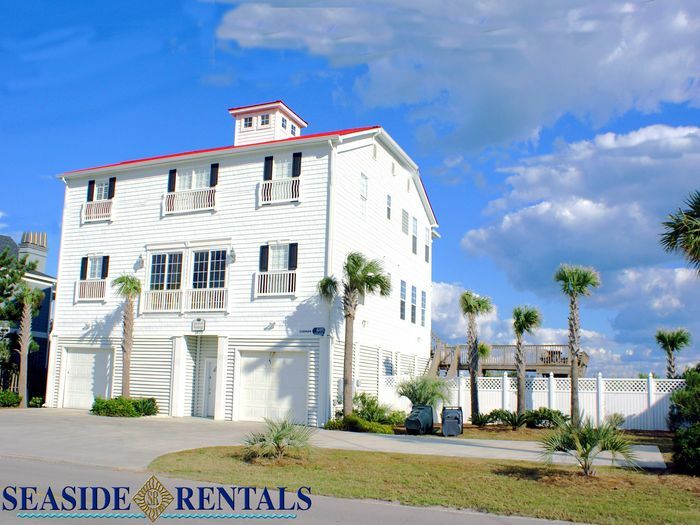 Search 4 Garden City private vacation rental ocean view homes, beach condos and cabins in Garden City, South Carolina. 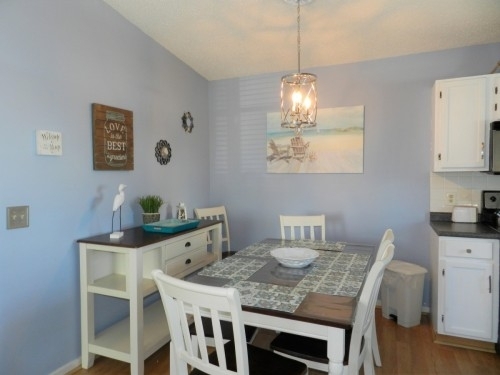 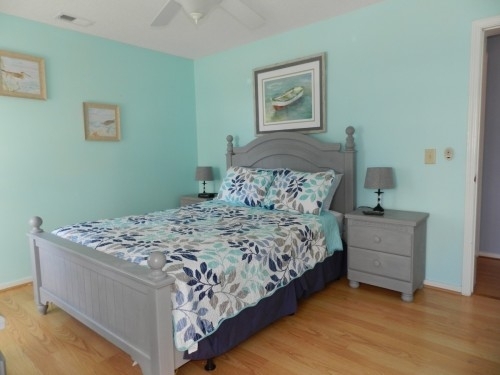 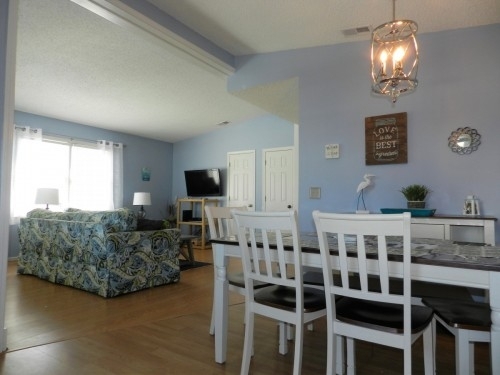 This adorable 2 bedroom private home is located across-the-street from the beach. 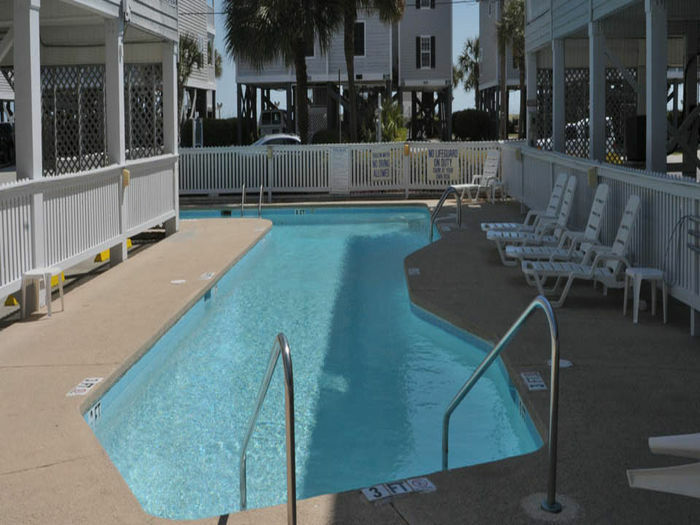 It's located in a small beach neighborhood made up of 17 homes that share a nice community pool. 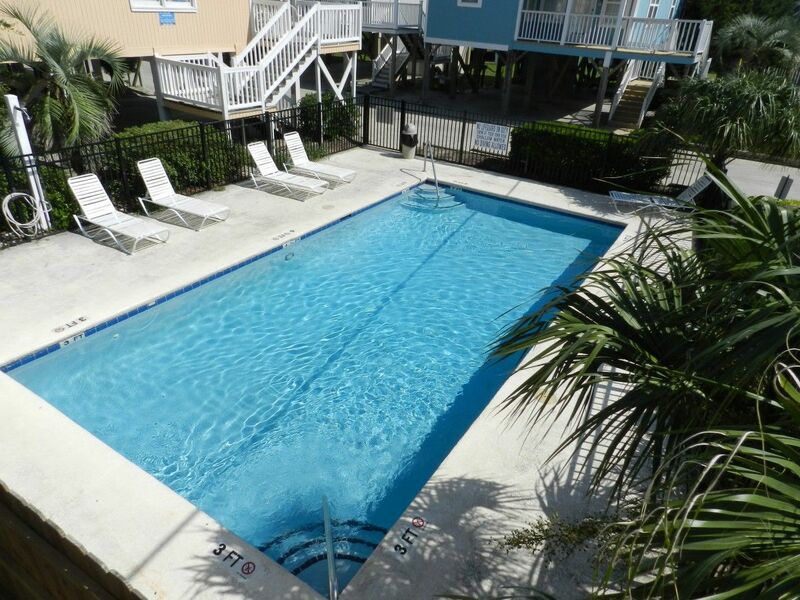 This particular home overlooks the pool and it's the closest home to the beach. 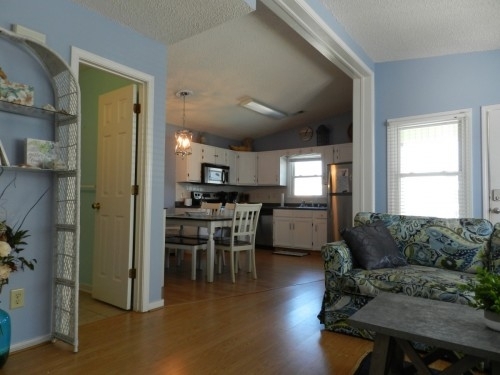 There is parking and a picnic table under the home. 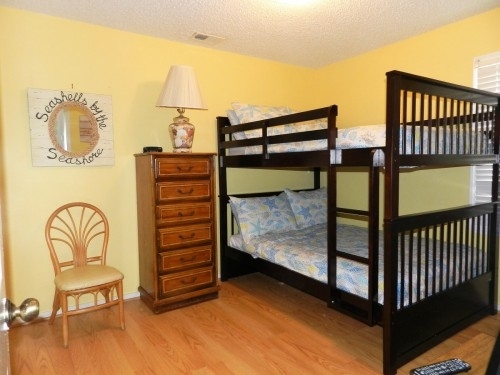 There are 3 TV's, a DVD player and complimentary wifi. 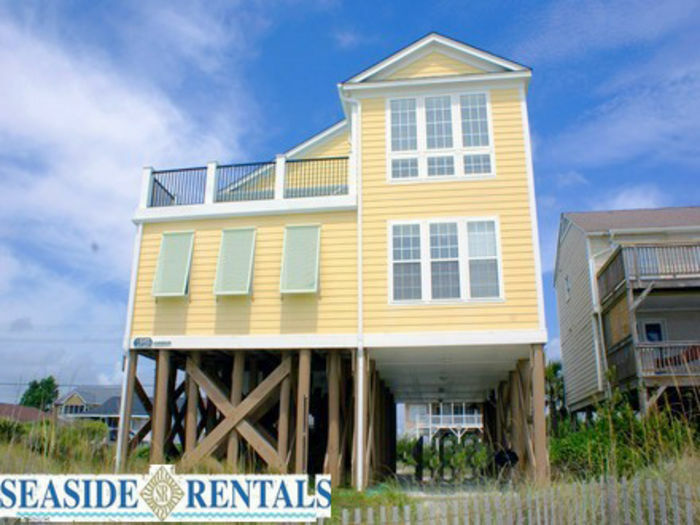 Departure cleaning is included in the weekly rate.